These wasp like creatures are hoverflies (Family Syrphidae Order Diptera) mimicking a wasp. They can be distinguished as they only have one pair of wings, a wasp has two. 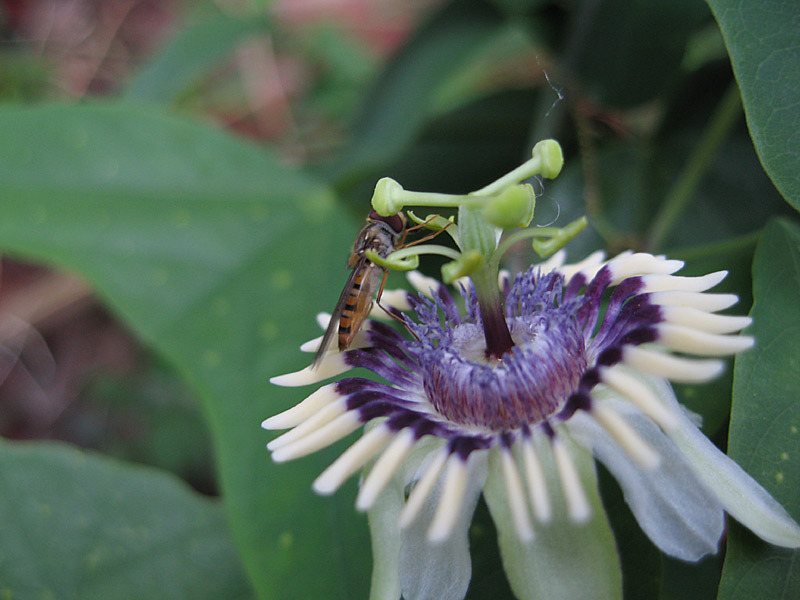 I had not noticed them before in my garden, but in 2001 there were many of them eating the pollen on a number of my passion flowers. 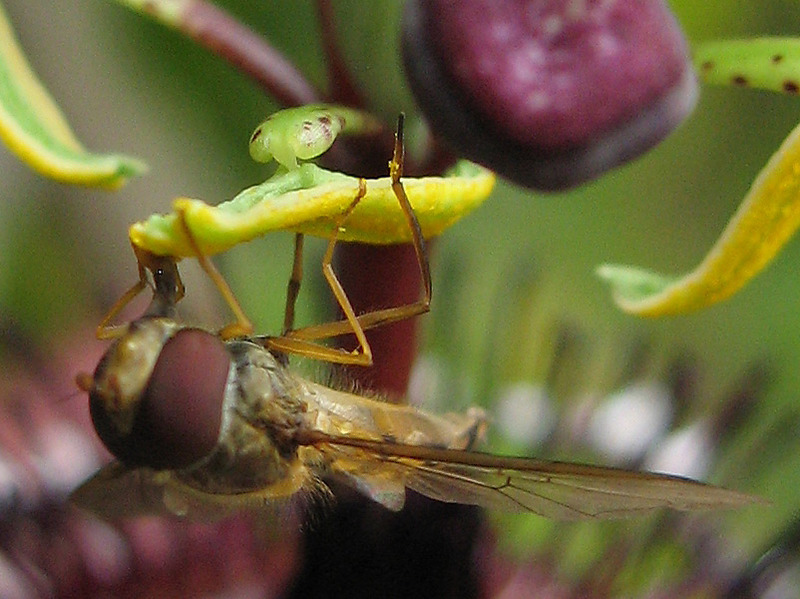 As they go from plant to plant there is also the possiblility that they act as pollinators. 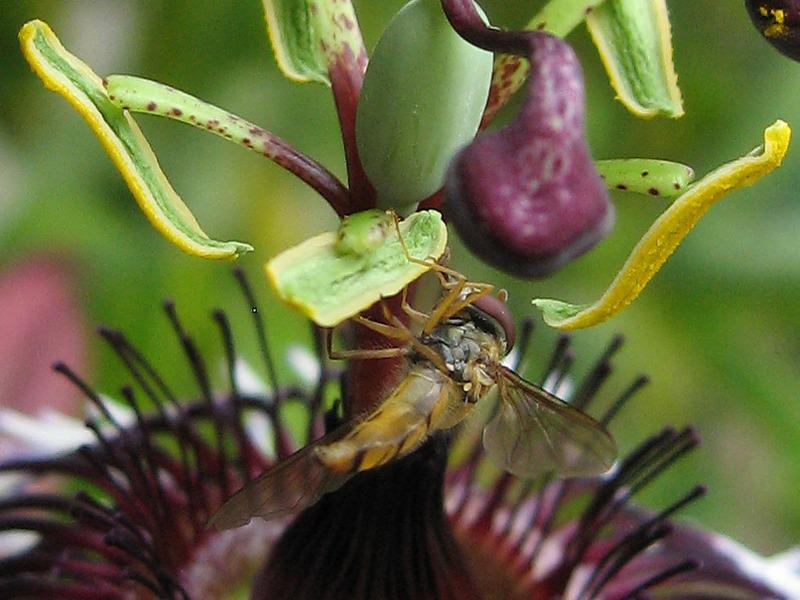 Little is known about fly pollination in Passiflora. 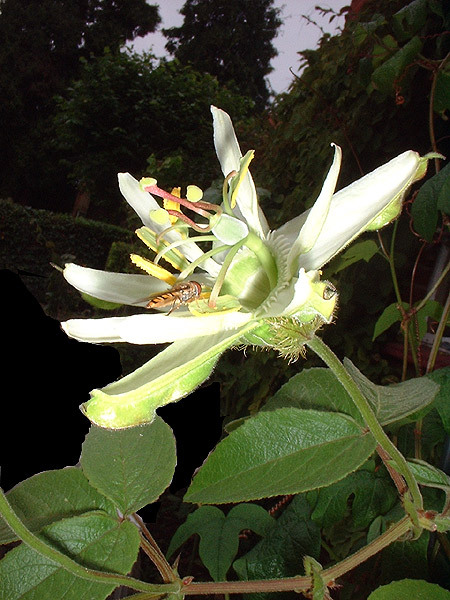 Certainly there are some Decaloba like Passiflora gilbertiana, Passiflora jorullensis, their hybrid offspring P. ‘Sunburst’ by Patrick Worley, and Passiflora mexicana, which all have small flowers that produce an intense mothball-like smell which is really pungent and offensive. They would be likely candidates.